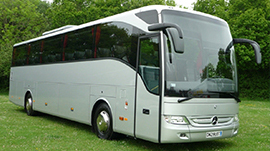 For more than 88 years, Saad transport has been ensuring premium transportation for large organizations, embassies, sports clubs, cultural, artistic events such as Baalbek International festivals, Beit el Dine festivals, the Francophone summit held in Lebanon, and many other reputed festivals & events public and private. An icon in the transportation industry in Lebanon & the region, we started our trips in 1929, and were the first in the Arab world to organize the first sleeping bed bus trip from London to Beirut. 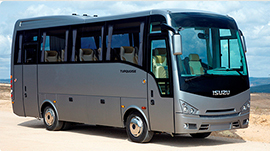 - Our experience is widely known, being THE pioneers in bus transportation in Lebanon and the region. - We have our own bus maintenance workshop, which gives us more credibility as per safety, comfort & peace of mind for the passengers. - We strictly follow legal & governmental norms, rules & regulations. - Our drivers are all trained professionals, ready to handle medical & technical emergencies, they have all passed their CPR certification & follow strict behavioral/etiquette rules. 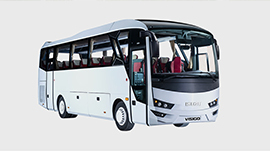 - We propose a wide range of vehicles from 49 seaters, to 33, to 27 seaters, with reputed brands.